Brave. Brilliant. An inspiring original. Your girl is amazing. Won't it be fun to give her a coat that lives up to all her sparkle? 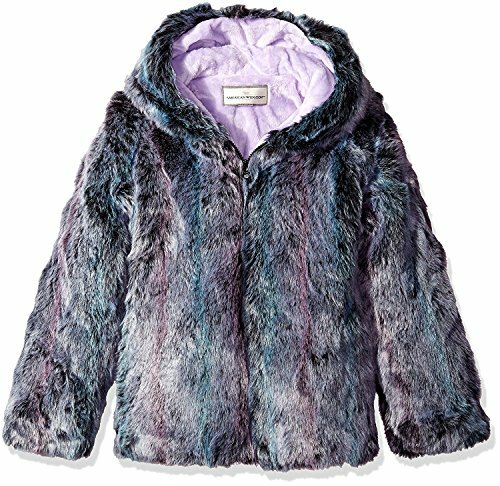 Our purple mist faux fur jacket is lined with even more faux fur, so soft it's like a you-go-girl hug every time she puts it on! We've tended to all the important details, from the cozy hood to side-seam pockets, and making it machine washable and beautifully long-lasting so it is always ready for her next adventure. 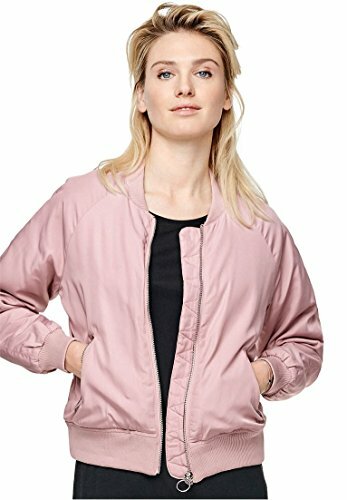 Our classic short bomber jacket offers contemporary styling at its most chic. 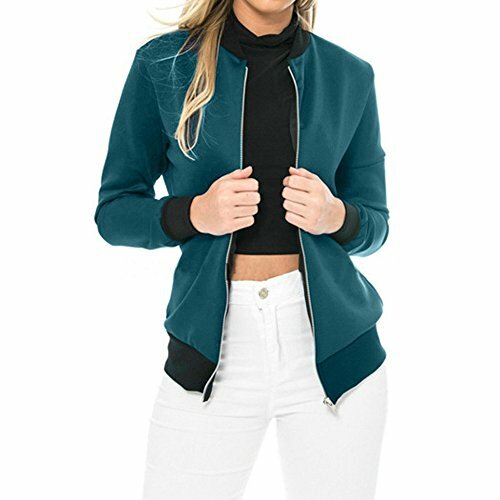 Whatever your style, this minimal design is as versatile as it is practical with its relaxed silhouette, rib collar, zip front with silver ring puller/zip, long raglan sleeves, two side zip pockets and water-resistant finish. 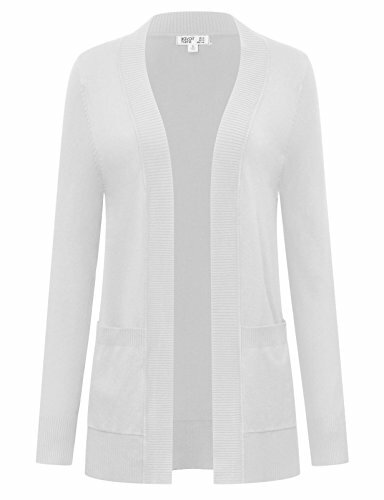 Wear over a dress for evening or with jeans for an effortless day-friendly look. 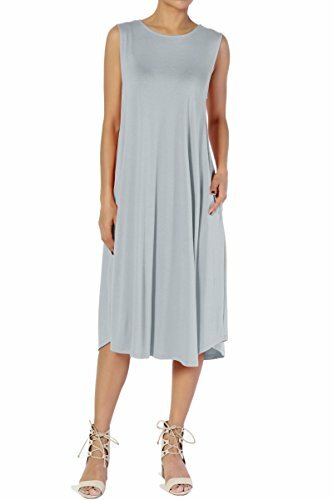 Relaxed silhouette Ribbed bottom hem 24'' from center back, hits at mid hip Polyester/quilted lining with light padding Machine wash cold, imported." 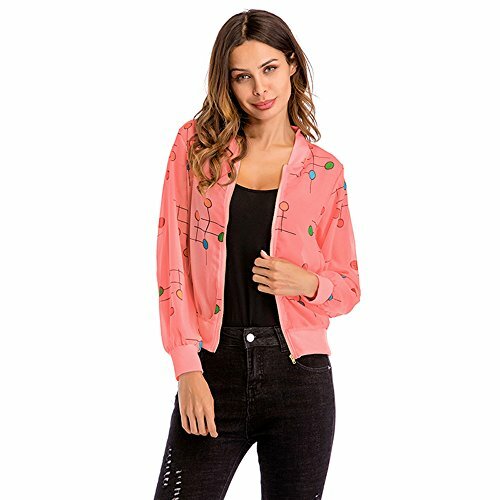 """ Detail Size: Size:S Bust:100cm/39.4" Sleeve:50cm/19.7" Length:77cm/30.3" Size:M Bust:105cm/41.3" Sleeve:51cm/20.1" Length:78cm/30.7" Size:L Bust:110cm/43.3" Sleeve:52cm/20.5" Length:79cm/31.1" Size:XL Bust:115cm/45.3" Sleeve:53cm/20.9" Length:80cm/31.5" Size:2XL Bust:120cm/47.2" Sleeve:54cm/21.3" Length:81cm/31.9" Size:3XL Bust:125cm/49.2" Sleeve:55cm/21.7" Length:82cm/32.3" Size:2XL Bust:96-102cm/37.8-40.2'' Sleeve:58cm/22.8'' Shoulder:39cm/15.4'' Length:59cm/23.2'' Notice: Please check the Size Chart before order. If you are not sure the size, please send message to us. About Us: Mose is a new shop. Everyday, the latest trend clothes are on display. The price is almost the lowest price of similar products, but the quality is absolutely guaranteed. If you have any problems with shopping, please feel free to come to me Delivery:15-22 working days for delivery to your address. Please wait patiently If you have any questions, please feel free to contact us. "" "
" Detail Size: Size:S Bust:90-94cm/35.4-37.0" Length:61cm/24.0'' Size:M Bust:94-98cm/37.0-38.6" Length:62cm/24.4'' Size:L Bust:98-102cm/38.6-40.2" Length:63cm/24.8'' Size:XL Bust:102-106cm/40.2-41.7" Length:64cm/25.2'' Size:XXL Bust:106-110cm/41.7-43.3" Length:65cm/25.6" Notice: Please check the Size Chart before order. If you are not sure the size, please send message to us. About Us: Mose is a new shop. Everyday, the latest trend clothes are on display. The price is almost the lowest price of similar products, but the quality is absolutely guaranteed. If you have any problems with shopping, please feel free to come to me Delivery:15-20 working days for delivery to your address. Please wait patiently If you have any questions, please feel free to contact us. INTO THE AM All Over Print Hoodies We've spent the past year building our dream hoodie from scratch, and now it's a reality. Our new all over print hoodies are made from ultra-soft fabric, which offers unparalleled comfort and a cozy yet stylish fit. 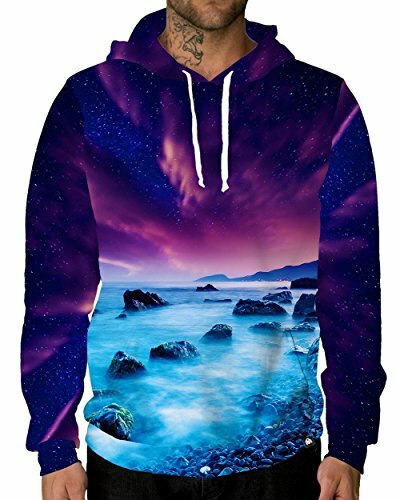 Designed & Engineered in California Handcrafted by Skilled Artisans High Definition Graphic Print Adjustable Drawstring Hood Convenient Front Kanga Pocket Pre-Shrunk 2 Way Stretch Fabric High definition printing that will never fade. This premium hoodie was handmade by a highly skilled American craftsman in sunny California. Each panel is individually cut, then sewn together to ensure a high-definition graphic and comfortable fit. We strive to make the highest-quality and most comfortable clothing available. INTO THE AM hoodies are made of 100% microfiber polyester and environmentally safe inks that set them apart from the average hooded sweatshirt. Every hoodie is made with soft, comfortable fabric that will never shrink or fade.
""" Detail Size: Size:M Bust:84-90cm/33.1-35.4'' Sleeve:55cm/21.6'' Shoulder:33cm/12..9'' Length:53cm/20.9'' Size:L Bust:88-98cm/34.6-38.6'' Sleeve:56cm/22.0'' Shoulder:35cm/13.8'' Length:55cm/21.7'' Size:XL Bust:92-98cm/36.2-38.6'' Sleeve:57cm/22.4'' Shoulder:37cm/14.6'' Length:57cm/22.4'' Size:2XL Bust:96-102cm/37.8-40.2'' Sleeve:58cm/22.8'' Shoulder:39cm/15.4'' Length:59cm/23.2'' Notice: Please check the Size Chart before order. If you are not sure the size, please send message to us. About Us: Mose is a new shop. Everyday, the latest trend clothes are on display. The price is almost the lowest price of similar products, but the quality is absolutely guaranteed. If you have any problems with shopping, please feel free to come to me Delivery:15-22 working days for delivery to your address. Please wait patiently If you have any questions, please feel free to contact us. "" 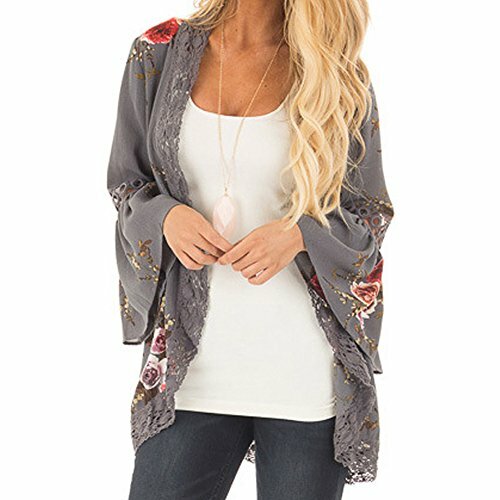 "
Looking for more Mist Long Jacket similar ideas? Try to explore these searches: Audio Crossovers, l830 Camera, and Were Out Message Book. Look at latest related video about Mist Long Jacket. Shopwizion.com is the smartest way for online shopping: compare prices of leading online shops for best deals around the web. 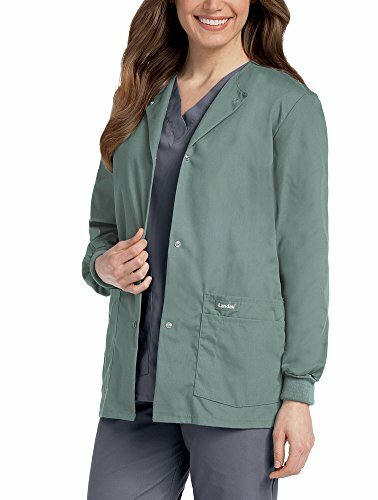 Don't miss TOP Mist Long Jacket deals, updated daily.